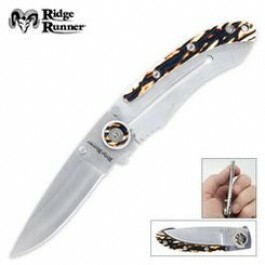 Buy Ridge Runner Slim Bone Folding Knife , from Budk - RBC VISA for $7.49 only in My e-commerce. This 6" folder is great for someone who doesn't like a lot of junk in their pockets. You'll never even know its there at 3 1/2" closed, you'll only know its there when you need it. 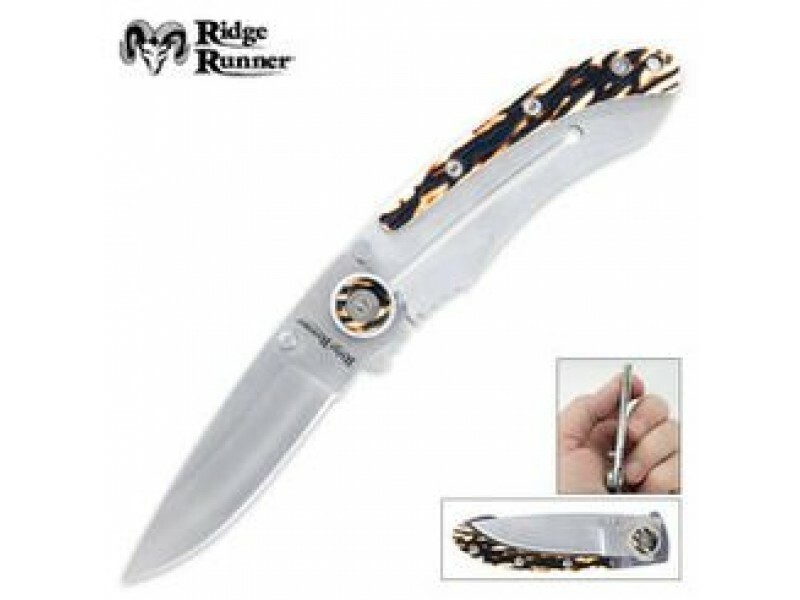 The faux stag handle gives it the perfect rugged look. 3" blade.